Students from the MASTERS Program Charter High School took to the trail on October 12th, armed with clippers, gloves, and a mission to restore and protect their environment. 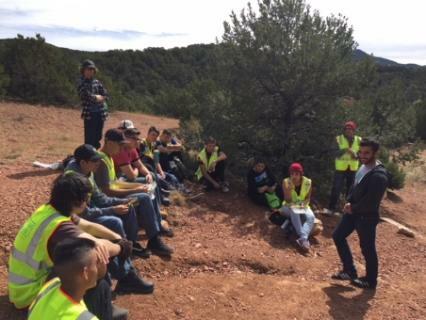 The students were led by crew leaders from the Trails Alliance of Santa Fe, and partnered with Keep Santa Fe Beautiful under the City of Santa Fe. 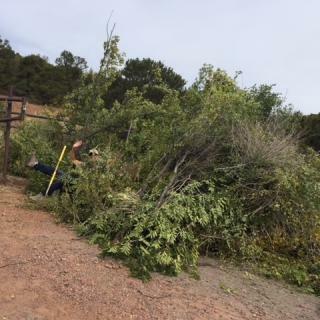 The students and volunteers worked hard to remove the invasive Siberian Elm around the Sierra Del Norte trailhead. The Elm is native to eastern Asia, but was brought over to the United States in the 1860s for it&apos;s toughness. It flourishes in areas with poor soil and low moisture, pushing out native species; the tree can overrun an area in a matter of just a few years. 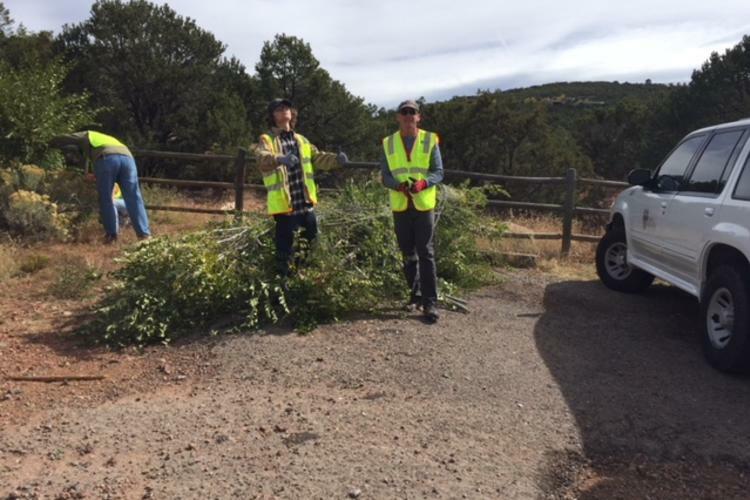 As stewards of the environment and our local habitats, the students and volunteers took it upon themselves to diligently remove the threat before it gets out of control. The trees aren&apos;t always a bad thing, but their number has to be managed in order to protect native species. At the end of the day, the students had collected a huge mound of clippings. For more information on the MASTER&apos;s Program, click here. 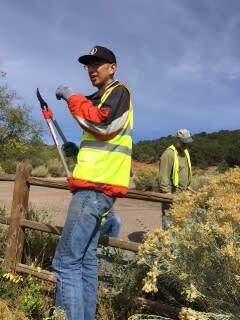 For more information on Keep Santa Fe Beautiful, click here. 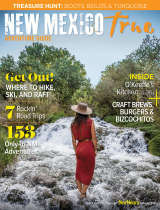 Check out the Trails Alliance of Santa Fe here.